Graduation. Starting a career. A life transition, Whatever God has ahead,there is always a lot to pack and unpack along the journey-often timescreating stress, making adjustments&....having to figure out a plethora of things. What we do? Where do we go? And how quickly is it going to take? Here We Go! 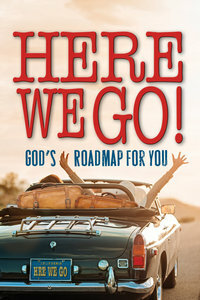 provides a simple "roadmap" to help provide answers, insight, and encouragement when life offers and/or creates new beginnings or changes that cause key life decisions.